VietNamNet Bridge – Viet Nam’s National Traffic Safety Committee (NTSC) has ordered the traffic safety boards of Ha Noi and HCMC and GrabTaxi Viet Nam Co Ltd to regulate and strictly handle Grab riders using mobile phones when riding. 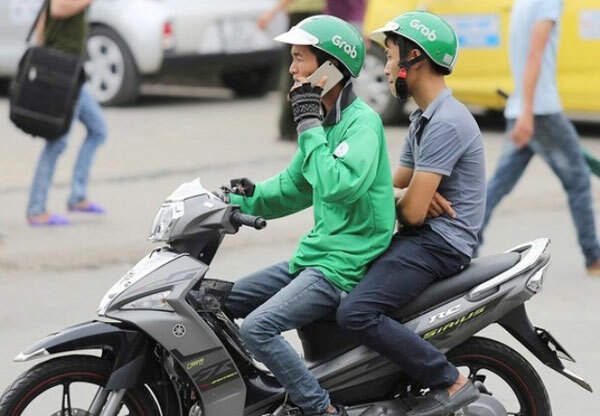 Viet Nam’s National Traffic Safety Committee (NTSC) has ordered the traffic safety boards of Ha Noi and HCMC and GrabTaxi Viet Nam Co Ltd to strictly handle Grab riders using mobile phones when riding. Specifically, the NTSC has requested the traffic safety boards of Ha Noi and HCMC to direct competent forces to intensify patrols to enforce the law against riders using phones indiscriminately on the road, especially those using phones to contact passengers. The Grab Company is required to strengthen the propaganda of traffic order and safety for its rider and driver partners. Besides, Grab-registered riders are asked to absolutely not use phones while riding. The Grab will have to consider terminating the contract with those deliberately violating. In order to meet the needs of people in terms of saving time and transaction costs, as well as the trend of using smartphones nowadays, Grab ride-hailing apps is attracting a lot of people to use as well as register to work as partners, especially Grab Bike service. However, after a time of operation, Grab partners reportedly often use phones to contact passengers and locate addresses while riding. “This is an act of violating the land-road traffic order and safety, endangering the safety of road users,” the NTSC asserted. Under the current law, riders using a hand-held phone while riding motorbikes have to pay a fine of VND100,000-200,000. They also have their riding licences revoked for one to three months. Grab is one of the most frequently used online-to-offline commerce mobile platforms in Southeast Asia, operating in 195 cities in the region. It is estimated that more than 5 million people use the combined platform daily.